A grim but light-hearted adventure tale about a young farm girl recruited to work for a dentist in 1815. Inspired by an original dentist’s advert from the early 1800s, and this post on the British Library’s Untold Lives blog: Smiling with Dead Men’s Teeth. In the British Library collections there are original advertising posters from London’s dentists in the early 19th century. Real human teeth were once the best possible solution for dentures, and after the battle of Waterloo so many young men with good teeth were killed that the dentures market became flooded with new ‘Waterloo Teeth’. “Mister Laurence looked after the teeth of the top aristocrats in London. He said it was no secret that most of them needed false teeth and, grim as it was, best false teeth were ones made from real human teeth. His job was helping poor people with no money, to make money from the rich people with no teeth. This is why he paid my mother so much for her incisors. My job was to go to France with his other assistants and bring back the teeth of dead soldiers.” – Emma, Dead Men’s Teeth. 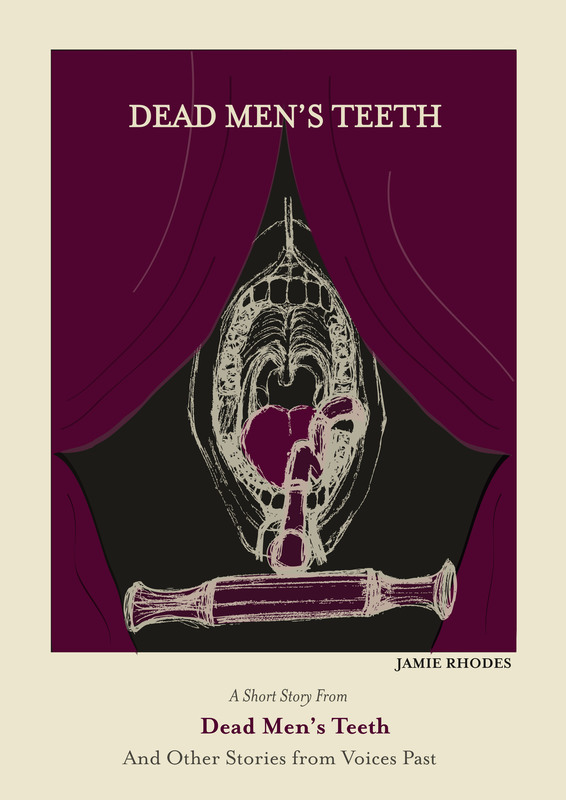 CLICK HERE to buy the Dead Men's Teeth individual title story of the collection.